The Finalists for the Wedding Agency Bonanza! Hello Rebellious Brides! 2 weeks ago, we called for entries for our Wedding Agency Bonanza contest wherein one lucky couple will have a chance to avail of our Wedding Agency Service FOR FREE! And now, it's time to vote! 1) Read the wonderful entries from our finalists. 2) VOTE for your favorite couple by just posting a comment below this blog entry. The comment must be POSITIVE and the comment must clearly state who you want to win. You may vote/comment as many times as you want.Comments that have no relation to voting will not be considered. "I VOTE FOR LONI & JP!" "I VOTE FOR PIA & RONALD!" "I VOTE FOR AIMEE & RONNEL!" In no particular RANDOM order, here are your finalists! "Why do we need the Wedding Agency? Because every girl needs a fairy godmother to make her dreams come true. But my kind of fairy godmothers are sophisticated, confident rock stars who enjoyed living their lives out of the box rather than in it -- enter Rebellious Bride. Why do we need the help of the Wedding Agency? Because JP and I are bursting with outrageous ideas and we need someone to keep us in check and assure us that we're not going cuckoo! :-P Cheers to originality and nonconformity ... and to happily ever after! :-) XOXO!" "We need the Wedding Agency for 3 main, important reasons: (1) We need WA to help streamline our initial wedding concepts, and consequently the budget. We think of ourselves creative enough, but having gifted visionaries brainstorm with us will allow for a more cohesive and thematic wedding. (2) We've been out of the country for many years and are only vaguely familiar with the best, most creative suppliers. We need WA to line up their trusted, highly recommended vendors to help fulfill the vision without necessarily breaking the bank. (3) Lastly, we need that Wedding Bible because we'll be in Manila in November 2012 for only two short weeks and plan to meet/interview the shortlisted vendors by then." The Run to a Start from itsMEEworld on Vimeo. "And why should I win the much coveted RB wedding service? Cos I am everything ungirly and a wedding, well, is gonna kill me. Cos already im a mum to a darling 1-yr old, and dont have the lux of time and energy to arrange a wedding (ya, i do ortigas-pampanga everyday *happy mum*). A wedding that IS BUT conventional! well, hu does that better, but RB? :) cos i wanna wed in the beach and be escorted by my princess. YES! I AM crazy like that. An RB like that ;)"
VOTING FOR PIA & RONNALD! I vote for Loni and JP. I vote for Loni & JP! i vote for JP and Loni. I vote for Loni & JP! wohooo!! I vote for Loni & JP because they are inspiring & dynamic as a couple & as individuals! I vote for Loni & JP because they deserve their dream wedding!! I vote for Loni and JP. So cute. i vote for Loni & JP. Wedding to look forward to. I vote for Aimee & Ronnel. im beside the one taking the video, taking pictures! I VOTE FOR LONI & JP! Wedding of the year! my vote goes to Aimee and Ronnel! I vote for Loni and JP! Aimee and Ronnel make a lovely couple, and you should see their daughter, Astrid. She'll make this the best wedding ceremony yet. The three of them deserve to win. I vote for JP and Loni! 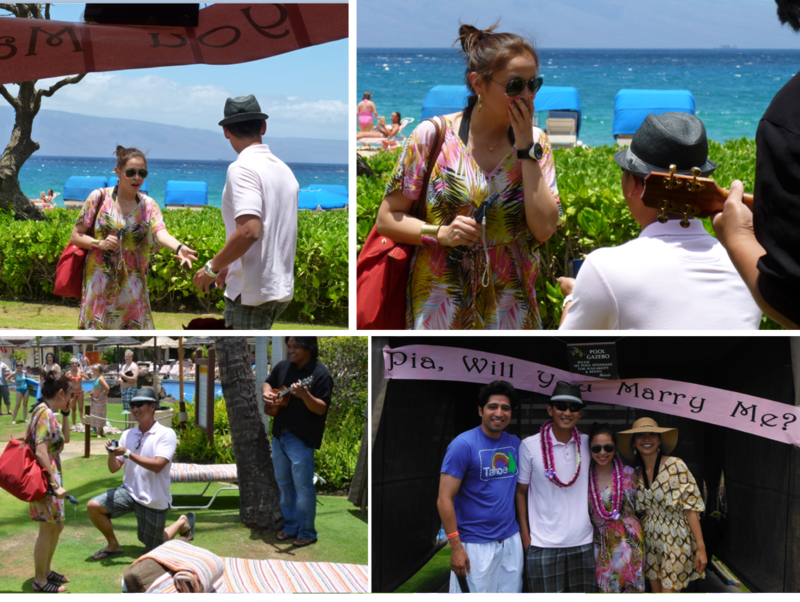 I was there when the Wedding Singer proposal happened and i think it was one of the sweetest things. My then boyfriend proposed to me after a month.. i guess he got inspired by this beautiful and obviously in-love couple! my 3 month old daughter is now named Loni. i vote for aimee & ronnel. so cute. GO RONNEL! GO AIMEE. YOU HAVE MY VOTE! I VOTE FOR AIMEE & RONNEL! I vote for AIMEE AND RONNEL!! the best couple ever!!! I vote for ronnel & aimee! I vote for ronnel & aimee!!! my vote goes to jp and loni, beautiful couple and beautiful ppl! 'nuff said! Aimee and Ronnel has my vote! I vote for Aimee and Ronnel! Aimee and Ronnel for me! loni & jp all the way! I VOTE FOR AIMEE & RONNEL! nice Vid! I vote for Loni & JP. cute couple - i vote loni and jp! I vote Loni & JP!!! Loni & jp deserve the wedding of their dreams!! I vote loni and jp!! Loni & jp all the way!!! Loni and JP all the way! My vote goes to Loni & JP!!! They deserve the bestest!! love them!! i vote for jp and loni!!! voting for jp and loni, weeeeee! I vote for Aimee and Ronnel. voting for jp & loni, love those two! i vote for Loni and Jp because they're a match made in heaven, nothing is more romantic that proposing infront of so many people, Loni(apple) is one of the sweetest girl i know, they deserve nothing but the best! I vote for loni and jp! Power couple! "I vote for Aimee and ronnel"
Loni and JP for the win! I Love Running so my vote goes to AIMEE & RONNEL! BAKIT AIMEE & RONNEL ANG NAPOST, MY VOTE WAS WITH LONI & JP!!! I VOTED LONI & JP!!!! pano po idedelete yung maling post??? Aimee & Ronnel the best! I vote for Loni & JP. The love that they shared has inspired both of them all these years and has been an inspiration to others as well. If love can take on the form of light, Loni and JP will be among the brightest to shine. It is an honor to be friends with the both of them. WE VOTE FOR AIMEE & RONNEL! I vote for Loni & JP!!! I vote Loni nd JP! I vote for Loni and JP...Truly deserving!!!! i vote for aimee and ronnel!they rock! i vote for loni and JP i have been their friend and schoolmate since the 3rd grade. they are really meant for each other... PS loni if u reed this u know who i am... DLSCSB!!! I vote for aimee and ronnel. They deserve each other! VOTING FOR PIA & RONALD! I vote for Aimee & Ronnel very love couple!!! !